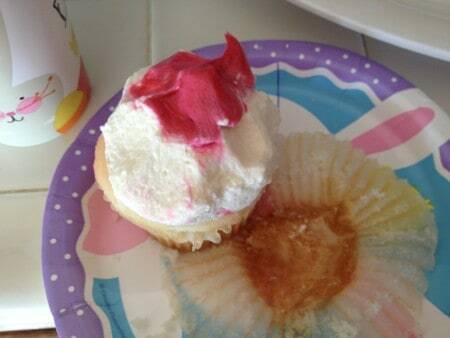 Unfortunately, parents of food-obsessed kids often struggle in silence. That’s because the typical advice to cut portions — and swap sweets for healthy fare — often make matters worse. Researchers Leanne Birch and Jennifer Orlet Fisher first examined the effects of food restriction in 1999. When restricted from a palatable food item, preschoolers increased their selection and intake of the target food. In their 2000 study, seven-year-old girls ate a standard lunch followed by free access to snack food afterward. The girls who were restricted at home not only ate more of the snack foods, they had negative feelings about their eating. Population-based studies show parental restriction is linked to higher weights and poor eating habits in children. In one study tracking eating in girls from ages 5 to 9, high levels of restriction at age 5 predicted what researchers call “eating in the absence of hunger” from ages 7 to 9. Additionally, the girls who experienced the highest level of restriction at age 5 were the heaviest at 9. There is also the chicken and egg question. Are parents reacting to a big eater that may also be larger than average, or is the restriction the cause of the food obsession? Rollins and colleagues designed research to replicate Birch and Fisher’s 1999 study, but teased out the effects of restriction based on children’s appetite and temperament. The children who found palatable food highly desirable and rated low on inhibitory control ate the most in response to restriction. She explains that keeping palatable food in sight, but off limits, is the most problematic. But she makes it clear that research to date shows more about what doesn’t work than what does. “We know very little about what works — it just hasn’t been tested,” she adds. International feeding expert Ellyn Satter provides specifics on how to handle low nutrient foods that you can read about here. It includes meal structure (planned meals and snacks at the table), allowing children to decide when they are done, a small serving of dessert with dinner and periodic offerings of sweets at snack time, allowing children to eat until they are satisfied. This shouldn’t be confused with an indulgent feeding style that is also not good for kids’ eating habits. Giving children this type of food freedom means they will eat more, right? At least one study shows this is not the case. One group of children were restricted from sweets, the other from fruit and the third was told they could eat as much of it as they wanted. When the food was made freely available, the unrestricted kids consumed the least. Not only that, they reported less desire for sweets compared to the other two (restricted) groups. Megan, who adopted Satter’s Division of Responsibility when her child was one, found that allowing her child to decide when she was done with meals put the kibosh on her growing food fixation. But when she tried to bring sweets in the home on a regular basis when her children got older, the whining became unbearable. Jane was able to see food through the eyes of her child, which can be difficult for parents who don’t view what they are doing as restrictive. Another key factor is children learn to see food the same way their parents do, which may not always be healthy. 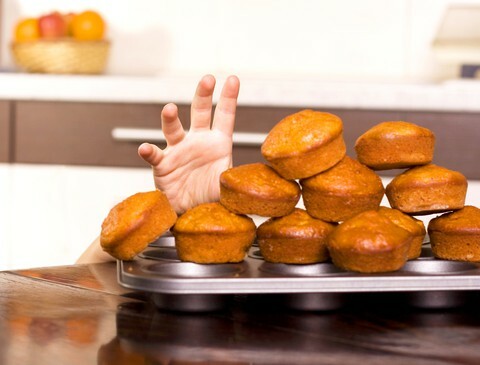 Research shows that parents who eat for emotional reasons, feel out of control with eating (called disinhibition) and worry about weight (their own and their child’s), not only are more likely to utilize controlling feeding practices but tend to have children with similar issues. And lastly, a child’s increased desire to eat may mean there’s something else that is bothering them or, in more rare cases, a medical condition like Prader Willi. In Fearless Feeding, we help parents troubleshoot potential causes. A 2013 study in Childhood Obesity showed that nearly 60% of parents of overweight children approve of controlling feeding practices, like restriction. But restriction only distracts from what’s really going on and makes food an issue. Rather than restrict a child’s intake, parents need to ask why their child is acting out when it comes to food. It could be a child’s perception of restriction, a lack of structure and limit setting or to avoid difficult emotions. Dealing with the underlying issue will be met with the most success. Now it’s your turn. What are your experiences with restriction? 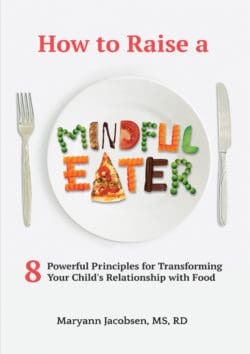 For more research-based strategies for teaching kids moderation, check out my book: How to Raise a Mindful Eater: 8 Powerful Principles for Transforming Your Child’s Relationship with Food. Casey — this article is really about kids who are food obsessed. If a parent is able to control amounts a child eats and the child doesn’t sire to eat more or have a problem, then that’s fine. But if a child is sneaking or eating out of control at parties, a parent needs to address restriction. Each child is so very different. I hear from adults who say they didn’t get many sweets growing up and now they don’t crave them. I also hear adults say they hardly got sweets and now have issues around eating them. I don’t think parents have to choose between letting a child go crazy and restriction. There is a middle ground but each parent/family needs to decide for themselves. I appreciate the link. I get that and think we’re all trying to avoid creating kids who are food obsessed in a marketing environment that does it’s best to do just that. Looking at it from helping kids avoid feelings of deprivation avoids the “one size fits all” view of restriction. Many parents are looking for a set answer to what’s not restrictive but also not too permissive. But what that looks like for one child will look different for another based on their feelings of deprivation. Also parents have more tools at their disposal when it comes to addressing feelings of deprivation than just addressing restriction. Those recommendations would be viewed by many parents as restrictive. I think that would depend on how the child views it. Of course all parents should stock up their kitchens with healthful whole foods. But if they never provide sweets or low nutrient foods at home, and the child goes crazy eating during outings or begs for these foods, that strategy is not working. In those cases, the parent might want to consider bringing some of those foods in the house to devalue them. For instance, I always have ice cream in the freezer, some dark chocolate and tortilla chips for Mexican night. Those are our favorites. Do I offer them at every meal? No. But they are part of our balanced diet. I like that they can be in my home and my kids are fine with it. In Fearless Feeding, we help parents figure out how often to offer low nutrient foods. Not sure how to start my own comment as I am a grandmother and not very tech savy. I have not been able to sleep because my granddaughter who is 8 years old has been put on food restrictions as a punishment for taking money out of a wallet on the weekend. She is only allowed vegemite sandwiches with white bread and bananas. When I saw her on Wednesday she was not happy with a crazed look in her eyes and she was also very quiet and recluse. Both her siblings were making the most of this by asking to chips and other food forbidden from her in front of her and very loudly, smiling as they did. I messaged her mum on facebook and asked how long this will go on for and was told there is no timeframe on it. I can’t find any info on the psychological effects of this but I don’t feel it is good. She wrote me a letter to take home and she says the hates her siblings (the oldest of which has just been adopted), and her emotions are hate an anger. She said she will try her hardest with the fugly people (meaning her mother and siblings). My son, her father wasn’t mentioned. I have an appointment with a psychologist in 2 weeks. I just need to get some support and speak to somebody who knows of the repercussions this may cause. Most of the research I’ve seen is on the long-term effects of food restriction stated in the post. In one study, adults remembering food being used as punishment and reward reported more disordered eating (like binge eating). I would not recommend using food as a punishment or reward. Hopefully the psychologist can help you and your family. Best of luck to you! I did this as a young child (I’m 25 now), and after years of intensive therapy, recovery from a n eating disorder, and lots of analyzing my childhood… my motive was simply a reflection of neglect, poor understanding of moderation, and the soothing sensation I encountered while experiencing intense emotions I wasn’t able to comprehend OR express (like, depression, anxiety, feelings of being a burden or “not good enough”) . Of course, my parents knew I was stealing from the locked up cabinet and their locked up room in their locked up closet…. because my older siblings didn’t have much of an issue with moderation, or food in general. Likely due to the fact my mother had just given birth to my younger brother, attention shifted away from me at the early age of 8, so I never really got the opportunity to learn how to moderate or know what it meant… and unfortunately, I still struggle with moderation in EVERYTHING I do. I strongly feel it’s because this (restricting food) took place when I was so young and impressionable. Regardless, the fact was I was stealing food AND lying about it. My parents instilled FEAR in me because I stole food…never asked why or how come, but automatically enforced that I was a bad child, eating “bad” food. They also told me I was costing them too much money because I ate too much (which could be true, I don’t know). I was NEVER overweight growing up, or now…so I’m not certain why my parents made me feel otherwise or were so occupied if I was overweight. I’m NOT a parent and don’t expect to know how to be a parent… but honestly, if a child is sneaking food… restricting the food is only going to send the message that the child has no “self control” (leading to feelings of guilt and shame towards eating), that eating those types of food is “bad” (which leads to negative feelings toward eating and about self), and that moderation can only be done if that item is forbidden or has constricted access (which is NOT what moderation is…). If my parents didn’t corner me and yell, demanding answers for why their oreos were gone…I may have felt safer in opening up (maybe), but I also felt deep shame for eating sweets / snacks ….so admitting the problem felt paralyzing at the time. Restricting food while I was a young child, still developing physically and mentally, totally shifted where my life took me into the following year. I developed an eating disorder at age 11 (bulimia nervosa…which is binging on food, then purging… so consuming large amounts and then disposing the evidence… sound familiar?…see a connection?) and other mental health issues. Sadly, my parents ignored the warning signs, counselor calls from school, and are trapped in the stigma of mental illness (that it’s a character flaw, not an illness). Basically, don’t restrict. Just have that conversation about moderation…ask why…how come…what would help. Allow the talk to be inviting and safe for the child. I like to think that if my parents were simply warmer and provided a safe space for me to express my feelings, maybe I would have avoided years of emotional pain and self-destruction. Thanks so much for your thoughtful comment Taylor. If you are still looking for help at this point, I highly recommend The Food and Feelings workbook by Karen Koenig. Yes, how the child views it is key. I see that from traveling to other countries where the diets would be viewed as restrictive in the United States. The children don’t feel deprived eating that diet because the environment is not geared to making them feel deprived. I think this is why I’m such a proponent of ending junk food marketing to kids. Thanks for this article. I grew up in a highly restrictive home (where both healthy foods and sometimes foods were limited) and I have been overweight/obese my entire adult life. In raising my daughters, I try to offer healthy food (cooked from scratch) and a smattering of sometimes food. We are supported by great school policies: “brain food” is the first snack of the day and must be fruit or vegetable (it’s eaten as a quick snack between sessions, while the children share their work); the school encourages — via a “golden lunchbox” prize awarded each week to the class with the lowest amount of rubbish from lunch (and yes, the students in each class count every piece of rubbish) — lunches that do not come in disposable packaging; there is no school canteen; and the school has a kitchen garden programme. We’re also fortunate to have children who have, on occasion, eaten too many “sometimes foods” at parties and who are now aware of how that feels! We chatted about that feeling at the time and related it to too much of what I would call junk food, but is termed “sometimes food” when chatting with the children. Now all it takes is a gentle reminder for my youngest before a party (my eldest doesn’t require this reminder anymore) to curb junk related over eating. We have children who are the envy of many parents: they’re not picky eaters and eat a great mix of foods; they’re (usually) not afraid to try new foods. 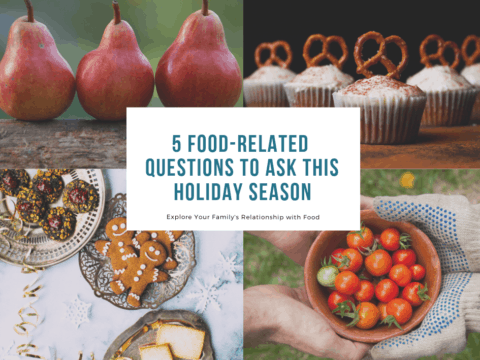 Because of this, I find it difficult to discuss the issues we have around food (conversations with other parents usually revolve around trying to get their children to eat at all and I don’t know anyone who has a similar situation to us). My issue is related to volume: it seems that they just eat too much. To this end, I’ve tried to ensure that, with the exception of “brain food”, there is always protein (e.g., dairy, dips, meat, quinoa, or nuts) included in each snack/meal. We try to have a balanced meal (1/4 protein, 1/4 carbs, 1/2 vegetables) in our evening meal and a similar distribution throughout the day at school. I’ve also tried to incorporate the notion of sufficiency: it’s ok not to eat everything offered (i.e., the plate doesn’t need to be empty). My eldest is slightly overweight (BMI= 19) and she almost always asks for seconds at dinner time. It seems like she doesn’t really know where her off switch is. Obviously, there are short-term measures we can take to ensure she doesn’t gain more weight until her growth in height pulls her BMI back into the healthy range but I’m more concerned with the longer term issues. Have you any advice? Or suggestions for sources of additional information? Thanks for reading this epic post! Cate — in addition to Adina’s questions I would ask about fat. Fat is a satisfying part of a meal and you don’t mention food sources of fat, although they may be present in the protein sources you provide. I’m not sure how vegetables are cooked etc. but fat is filling and if your meals are low fat, that could be why you child wants more. But it could also be that she is hungry and that is her natural appetite. I’m not sure what your family tree is like in terms of size, but if they are genetically bigger her weight shouldn’t be an issue, especially if she’s always been on the bigger side and is active and healthy like it sounds she is. 1) Does it bother you that she asks for seconds? 2) Do you freely let her have seconds? 3) What makes you think she doesn’t recognize her ‘off switch’? 4) How do you response (if at all) when you get a sense she is eating with no off switch? About 10 months ago I started practicing this ellyn satter style of feeding and I have to say it has made a world of difference. My 3 year old daughter doesn’t obsess over food nearly like she used to and will even leave a half of a cookie or pasta, or toast left on her plate which never happened in the beginning. But I continue to see a treat/candy obsession on days here and there that always makes me wonder if I’m doing something wrong. We have a general rule that we have one treat a day with a meal or about once a week we have a treat snack where she can have what she wants of it. But still at parties and holidays etc she seems to always consume more treats and has a higher interest in them then the other kids. I’ve also noticed that during certain times of abundance of sugar at school, parties etc that it creates and even higher interest in them. I will say though that she is much more relaxed around treats now and that after she ate 2 sugar cookies and the frosting off a peanut butter bar at a recent family get together, that she never looked at the treat table again and didn’t ask for anymore even when she was playing with other kids that were walking around with cookies in hand. Am I doing it wrong? Is it crazy to let my kid have that much sugar at an event? I constantly wonder if I’m still creating a mess for my daughter to have to learn how to deal with later on in life. Marci — I think you switched because the other way wasn’t working and you have seen some benefits. Remember your daughter is only 3 and I think it gets easier as they get older and you can talk to them. I find that at age 3 is when parents often complain that their children start asking for more treats etc. This was peak for both my kids. That’s because that is a time children become more aware of food in the outside world. When my kids were young, I made a point to limit bday parties because it can be too much to handle. I had one time Big A had 3 parties in one weekend. I decided to never do that again. So hang in there and realize you are doing the best you can. There is no perfect or right way to do this. I’ve read everything there is to read that a relatively educated but non-medically savvy person could read. we’re going through a host of paths to make sure there’s not something with more science around it – type i diabetes, gluten intolerance, etc. So far, nothing. It just it was it is. And it is HARD. We’ve worked hard (with quantity restriction – she’s only now three) to get her back on the charts by maintaining her weight while her height “catches up”, which is what our pediatrition and our nutritionist recommend we do. Every day is an effort, dare I say struggle. What I would give to be able to drive up to a chick-fil-a for the occasional convenience!! On the behavior side, she was and is obsessed, although it’s gotten better. We’ve veered off Ellen S’s division of responsibilities. I figured if I can’t let her control the how much (i have to), I CAN let her control the WHAT (within reason). i’ll pack her lunch but let her “revise” as she wants to. And I teach her along the way. I don’t let her have two fruits for breakfast but instead try to tell her “they’re the same kind of thing” and veer her towards protein choices for her second choice. We talk about “good energy food”. I try not to talk about bad or junk food. With all the candy being thrown at her every day from society, we’ve taught her that candy is for holidays and cupcakes and cake are for birthdays, so we do our best to let her have those on the right occasion and do what we can to keep it out of the house otherwise. She wants candy for breakfast and has more from her (school acquired) Easter stash? Sure, no problem. When she does have candy we try to teach her how to eat it – to take her time, to enjoy the taste of it (as we do with all food). I try to remove the stigma around it where I can, while managing within our limits. We don’t have all (or any) of the answers. What we do have is a situation that no one seems to understand or be able to help solve, and so we manage it best we can day to day and – no offense to the research out there – make the best decisions we can the best way we know how. This is because we’re the few, not the many. Other parents look at me in envy as our daughter chows down on green beans en masse. Everyone says (out loud and in front of her) what a “good eater” she is. While don’t envy the parents of the picky eater, I certainly think there is little knowledge or empathy for the kids on the other side of the spectrum. That’s what we need to know. Because until then we’re just doing our best. My husband and I made the decision that while we understand restriction doesn’t work based on all the research and best expert advice, it’s the best we can do with the information we have to keep her within a normal range of weight for height (and overweight is fine in that range). And let me be clear, I don’t care if my daughter is bigger or big. 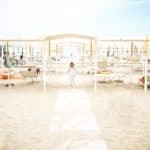 I do care if my daughter can’t enjoy running and playing with her friends because she’s out of breath (which I’ve already seen), if she’s bullied or has low self-confidence as a results of societal messages and pressures, and most importantly, if she’s putting her long term health and lifestyle at risk. And so with that, I do what I can. I am not telling you this to get you to restrict your oldest. I am not a doctor nor a nutritionist.I am sharing our story because you’re not alone – I am another mom desperate to figure it all out (and giving blogs like this advertising revenue and an audience as a result) that are at a loss, and for who the typical advise may (or may not) fit. Best of luck to you and your family. If you ever want to connect live and chat (more from a “we’re not alone” perspective), I’d be happy to. It’d be nice to have a sounding board. We didn’t give him anything with refined sugar until well after his 1st birthday. Very few bread products as well. We don’t have junk food in the house and rarely eat it out. If he sees cookies or chocolate or ice cream, he wants some. Assuming the situation is appropriate (it’s available not just visible, for example), he can have some. 99% of the time, we’ll tell him prior to his serving how much he can have (“You can have one bowl of ice cream”). He eats it and respects the boundary. Every now and then, he totally melts down because he wants more. Most of those meltdowns are when he is tired. All that said, if he had two pounds of washed, cut strawberries at his disposal, he’d eat them all. There are plenty of mornings when he’s had the same or larger breakfast than I (eggs, fruit, yogurt, something like that—we don’t do cereal). He’s eaten as many as 8 clementines in one sitting. We don’t make a big deal out of sweets — they’re really just mostly absent. And we have fruit for dessert. So obviously every kid is different and different techniques will work better for each kid, so what gives you confidence in how you do things with your kids or in what you teach other people? I love the title of your book but what helps you to be fearless and confident in what you do? 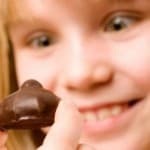 I know things are definitely better, but I still see many other kids with not near the interest in sweets and junk food that my daughter has and I can’t help but wonder why their techniques of bribing or rewarding with treats doesn’t seem to have backfired. I definitely can’t say I am fearless. What I mean is each kids’ food preferences, appetite and temperament will be different but the basics of feeding applies to all kids. The what of feeding is understanding nutritional needs and how to meet them in your child. The how is following an authoritative feeding style that is not too strict or permissive and the why is understanding development and your child’s individual differences. The different strategies I refer to are mainly around sweets — dessert with dinner versus one sweet treat a day etc. Being fearless means that you feel confident that you are doing the best you can based on the available evidence and having a big picture view of feeding. Most people make decisions based on the what only but don’t understand about the how of feeding or why kids do what they do. For example, the parent who rewards their child with dessert is just worried about getting veggies in their child without thinking of the long-term implications. Honestly, a parent may not know their way of feeding backfires until a child is an adult on their own — that is why we ask parents to have a long-term view. Restricting a child can cause some kids to eat in the absence of hunger — and the negative effects of this may not be seen until adulthood. I feel confident because I am making informed decisions about feeding my family. I also feel good about my relationship with food. That is why we wrote the Parent Trap Chapter — sometimes our own food challenges can cloud our feeding in ways we don’t expect. If I had kids much earlier when my eating was different, feeding my children would be much more difficult. If you are having doubts, and they are bothering you, feel free to email me again. Thanks so much for your thoughtful and insightful comments! Oliviab: it IS nice to know that we’re not alone. Like you, my concern is for health (& I include mental health in this too). I’m concerned that my daughter will drop further out of physical activity, and the friendships that may come from team activities, and may be bullied. Adina: thanks for your questions. It bothers me when my daughter asks for seconds IF I know she’s had more than adequate food for the day. But it’s more from concern that she doesn’t seem aware of her off switch than anything else. Having said that, I mostly let her have seconds, but if we’re having a meal that is full of sometimes food (I’m thinking here of the last time we bought pizza), I have been known to say no. On that occasion, she’d eaten more than an adult portion of food (and had eaten well the rest of the day, so I knew she wasn’t physically hungry). I guess I think about her off switch going unheeded because she’s almost always the child sitting at a table eating when other kids are off playing. She’s also a “seagull” in that, she’ll eat food provided by other parents, even when I’ve just fed her lunch or a snack. It seems to be lacking in mindfulness; if it’s there, she’ll eat. Regarding my response, I’ll often ask her to slow down and will ask her to refrain if she’s vaccuuming up whatever is available (this is more about eating snacks than in a formal meal). I am so relieved to have seen this excellent post and discussion. I can completely relate to Cate’s situation with my 12 year old daughter and to a lesser extent, my 9 and 6 year old children. Since birth, all three kids have had voracious appetites (funny how back then, it was seen as a source of pride! ), but the oldest in particular seems to have only increased. Like Cate, my kids are the opposite of picky eaters who gladly eat kale, quinoa and beans, so it is likewise tricky to talk about the volume of their eating with friends who have to deal with the stress of kids who won’t touch certain foods. Our oldest daughter has the classic issues of “stealing” food from our pantry (and subsequently lying about it), as well as going all out at family gatherings or parties. She often expresses anger, for isntance, that her after school snack wasn’t big enough. I am fully cognizant that my responses are often hurtful and short-sighted, but there is a tricky balance between a gentle “that’s all for dinner, sweetie,” and the angst of watching your child grab handfuls of hors d’oeuvres at a party without saying anything. As the initial post mentioned, I have some understanding of what I SHOULDN’T do (not that I always follow this, sadly), but how to proactively develop healthy and happy relationships with food has been frustrating. I do think the comment about focusing on protein-rich, filling food is a useful insight that I’m going to try and implement. – Usually, the less I say the better (so hard!) — this involves my looks and other nonverbal cues. – My own habits are likely more influential than I think. I also have a big appetite (and remember constantly feeling unsatisfied after eating as a kid, even though we had plenty to eat). I get where my kids are coming from, although I generally have outgrown any overeating habits. – Engaging my kids in other activities helps. Funny when we spend the day at the park or playing with others, they rarely ask for food. At home: different story. 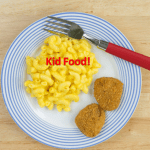 – My kids love to cook and help in the kitchen (partly to nibble during the food prep). This is seriously their favorite activity. I’m hoping that this love for cooking will help them develop healthier and more positive associations with food. I don’t really have good answers, but let me reiterate how helpful this discussion has been — thank you! Thanks for your comment Susan and Cate. I should point out two key differences in children compared to adults when it comes to food. We parents may think kids have had enough based on what or how much they have eaten but it’s important to remember they are still growing and grow in spurts. So if they are going through a growth spurt they will be hungrier and eat what seems to be large amounts. Two periods of life when this growth is greatest is the first two years of life and puberty. Children that don’t get their hunger met may develop poor food regulations skills — eating when they can even when not hungry. Another consideration is one that may apply more to younger kids. Children are new to this eating thing and may decide eat more of something they like because it tastes good. The key with what Cate calls “sometimes foods” is to focus more on how often they are provided instead of how much a child eats. A child may eat more because they haven’t had that food in a while, but often they will regulate their intake later, like the next day, and eat less. The way kids regulate food is different than adults due to their growth and development. If kids are always kept to small portions of items that are tasty, it leaves them curious about the food and wanting more. Of course, eating at the table in a mindful way is key versus grazing or picking at food all day. If a child is acting out such as stealing or hiding or begging for food, it needs to be addressed. 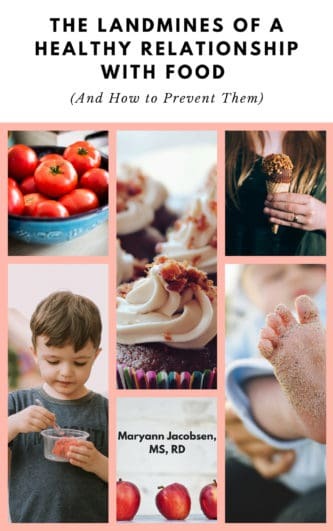 My book, Fearless Feeding, has a chapter dedicated to special considerations like picky eating and weight. I relate to so many of these posts…I could have written them word for word. This has been the biggest source of stress in our family, almost from my daughter’s infancy. As an infant we followed the “rule” of letting her eat as much as she wanted, as often as she wanted. By six months she was incredibly heavy, and we started solids in an attempt to slow her down. Needless to say, she never slowed down. I ask what she did at preschool and all she ever tells me is what they had for snack, the only books she wants me to read are those that include pictures of food, and she’ll turn back to those pictures again and again. Last month she ate a stick of butter when I mistakenly left it out, and just today she guzzled salad dressing straight from the container, also because I left it out. It’s possible to distract her, but if she sees food it seems like the only thing she can focus on. At parties she will hover around the food table instead of playing with the other kids…It’s impossible for anyone to understand unless they’ve been there. We’ve put a lock on our kitchen door, even though we know it’s only exacerbating the issue we don’t know what else to do, because the second she was unattended she was making a beeline for the cabinets. When she takes food she knows she shouldn’t have, she crams her mouth as fast as possible, I’m pretty sure she doesn’t even taste it. If there’s even a small crumb of something on the floor she has to put it in her mouth, even though there’s no way it could fulfill hunger. And…she’s four years old now and still in a crib. We’re going to keep her in the crib for as long as possible, because I know she’d sneak into the kitchen in the middle of the night and take food, I’m so scared she’ll cram it into her mouth and choke on it while we’re asleep. We’re just at a loss, we have no idea what to do. Punishment doesn’t work, explaining doesn’t work, leaving out healthier food doesn’t work…Many times she’s told us she can’t help taking the food, and I truly believe it. To her it’s a drug. Hi everybody! 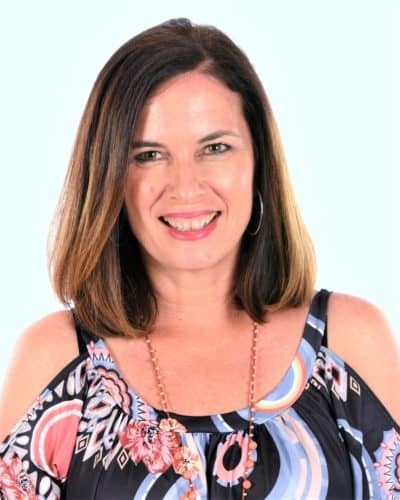 I’m from Argentina, and I’m a nutritional coach. My son (4 yrs old) eats very healthy at home. But when he goes to birthday partys he goes crazy about candy. Some times he’s the only child staring at the table of candys like a starving creature of the night… and he eat as much as he can. In my country is used to gift a bag of candys at the end of the birthday partys, and we let him eat one or two candys a week…. he’s having at least one or two partys by month, so he has always stock of candy, and he doesn’t tries to break that rule (one or two by week)… but he goes crazy at the partys… it’s really shocking some times. Any advice to us? Thanks! In other words, we try to make sugary food reasonably available, allow some completely unrestricted indulgence once/week (without referring to it as “unrestricted indulgence” it’s just “what we have for snack today”), and think we’ve been doing a pretty good job of fearless feeding for about six months. BUT every day when I pick my daughter up, within 30 seconds she asks me “can we have a treat tonight?” I either tell her yes, and give her the whole dinner plan, or I say “no, but we’ll have one again soon”. Then if we are having something like that, she always eats it first. She actually goes somewhat slow, as if savoring it, but won’t touch any of her other food until she has eaten the whole dessert, asked for seconds, been told we don’t do seconds on that kind of food because we try to eat mostly foods that help us grow healthy and strong, and asked again just to be sure. One time recently she had some ice cream and after finishing it instead of eating dinner just kept wiping the bowl with her fingers and licking them off to make sure she got it all. We are out of ideas. Should we be giving her more dessert food? Either volume per meal, or frequency? Should we be giving her less? Should we stop acknowledging that it is a different kind of food? Any advice is greatly appreciated. I’m curious if that’s the only time she asks for treats or does she seem overly fixated on them? How is her eating besides the treats? Is she stressed or turn to food when something is bothering her? Maybe its time to change your strategy. You may want to try having a once a day treat and have her be in charge of choosing when/what. 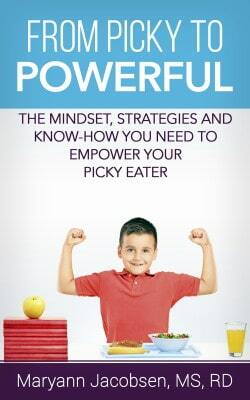 I go into much more detail in my latest book How to Raise a Mindful Eater. Also if you are a subscriber I’m offering free 30-minute consults to anyone who has bought my book. If you are interested email me at raisehealthyeaters@gmail.com. It’s comforting and heartbreaking to see another mother commentnon here that their child became unhealthy size wise following SDOR for 6 weeks. I can say the same here in our household too. Our daughter has always had a voracious need to consume. We never restricted her until recently. When we followed SDOR binge eating began! And now she’s a binge eater unless we control it. controlling her portions and flat out saying no is not a cure all, because it’s not a long term solution. The only hope we have as that at some point she will learn what amounts she needs to eat and stop independently and for us SDOR was not the answer and quite frankly catapulted her into binge eating. Maryanne I’ve followed your advice and quietly in desperation read here off and on for two years. 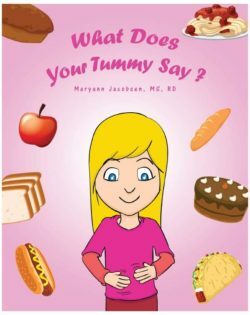 While you may have information for parents that do t know how to provide macro and micro nutrients consistently to their children and defining what a “treat” is there is no useful information for a parent who is living in healthy home and has never been able to regulate/indentify their own appetites. I do not blame you for this, but classifying food obsessed kids as either being this way because of scarcity or some sort of nutrient deficiency isn’t the answer for many of us. Pediatricians and dietitians don’t have the answers either. At this stage we are venturing into psychology, because something is wrong and yet it’s NOT what Ellen Satter suggests over and over. 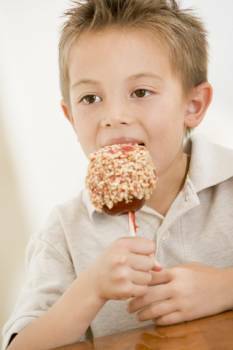 I delve into 8 principles that help a child develop a healthy relationship with food. It covers stress, connection and other factors that can affect self-regulation of food intake. 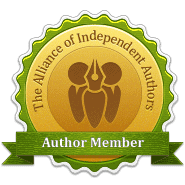 Have you checked it out yet? I also do free 15 minute consults for subscribers. Maybe I can help steer you in the right direction? Email me at raisehealthyeaters@gmail.com if you’re interested. If it’s not too late I would like to take up your offer for a more private conversation about our daughter’s out of balance relationship with food. I prefer “unbalanced” over “obsessive” or “preoccupied”, because ultimately our end goal is for her to have a balance with eating and well every other area of life too. There are some unique possible contributions coming from her gene pool that I’d much prefer to discuss in privacy. Whether these are culprits or something else is I’d really look to know what the root of the issue is desperately so I can help her overcome this. Thank you for the article. 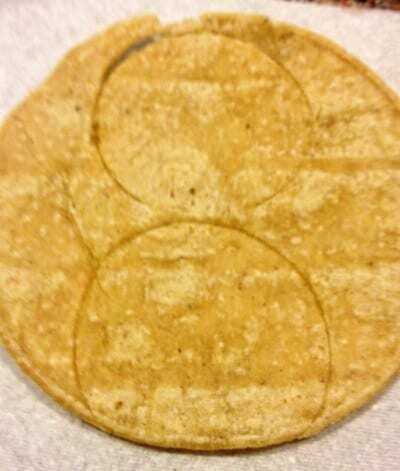 I realize it is a few years old, but we have hit a dilemma with food. My mother passed away a few months ago, leaving us custody of her adopted son (my nephew). He came from a life full of sugar, caffeine, fastfoods, and no limits. He could choose what he ate, and if he didn’t like dinner he got something else. We started off very strict with foods. Sugary drinks only on weekends. You don’t have to eat dinner. But there is no second choice. Mostly scratch homemade foods. Healthier than he’d ever known. He eats many more foods not. But his appetite is insatiable. He asks when the next meal is while food is still in his mouth. He complains he’s still hungry after an adult sized meal. He wants food all.day.long. We try hard to give options for snacks and breakfast, have set times, eat as a family. They get two snacks a day and 3 meals. But it’s just getting worse. All day, every day, he asks about food. If left to him, our pantry would be emptied within a day. And he’s not the only mouth we have to feed. We have two other kids and do not have unlimited funds for food. What do I do? I can’t give free access, or the other two kids would have to fend for scraps or become food obsessed themselves. I can’t micromanage or structure as we have been – it’s creating way too much stress around food. I hate it but don’t know what to do. To make things more complicated, he was born to a drug addict. And he has adhd. So his craving for sugar and junk is partly because of his biological mother and fuels his own self destructive behaviors. His book The Boy Who Was Raised a Dog is an excellent book and may be a good place for you to start. In the meantime, I think it’s fair to explain to him about food rules and boundaries. Maybe you can ask him about how he feels about food? Work on snacks that are more filling etc. Try to work with him and see things from his point of view. 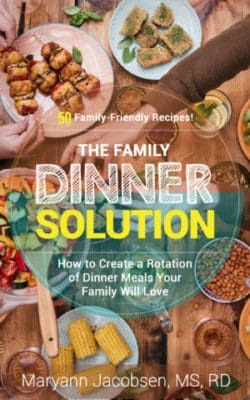 I have many more tips in my book How to Raise a Mindful Eater.